than it is to plow a field". What we mean by this is that a horse can move his own body a whole lot easier than you can, if you have to push and pull him around every where you want him to go. Once he gains trust and respect starting with lots of ground work, he can then gain confidence in himself and become a willing partner. 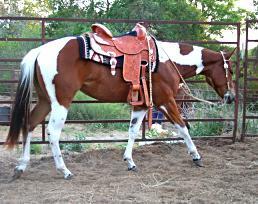 It will then be easier for him to learn to respond in a soft and willing manner under saddle as well. With repetition, his movements will be so soft it will be like cutting butter. 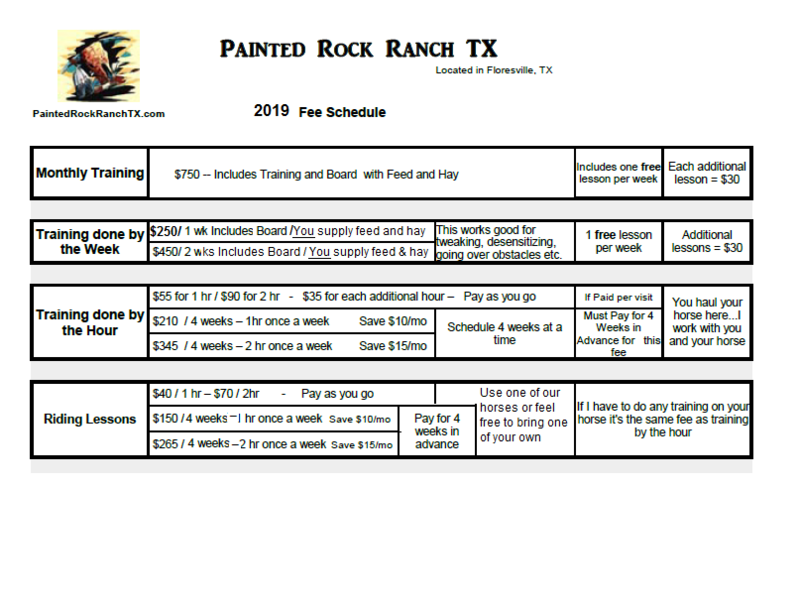 Here at Painted Rock Ranch TX, we take a gentle approach to your horse's education. The results tend to last. Light and supple in your hands. Responds lightly to your cues. Just think how much nicer it would be if your horse just willingly went wherever you asked him to without arguing, tossing his head, or having to drag him everywhere? Horses are all different, and some learn faster than others, but all horses, including yours, can be trained and taught to be better performers in this manner. 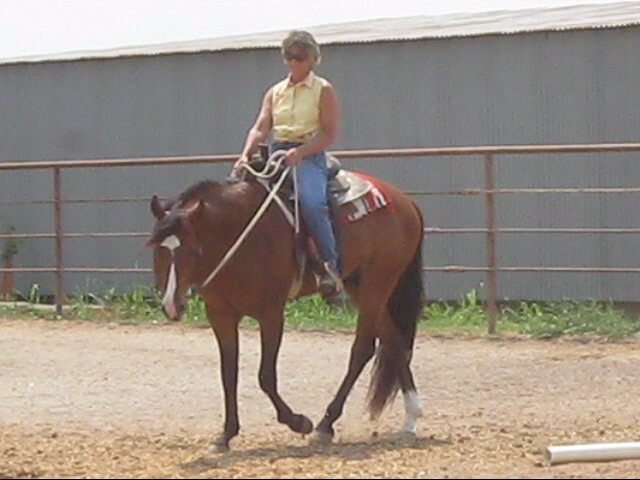 Teaching your horse to relax and be a more confident and willing partner. 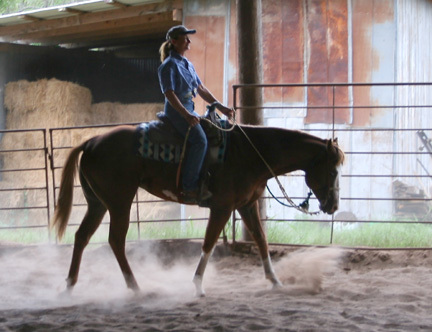 Teaching your horse to stop better and on lighter cues and more willingly. 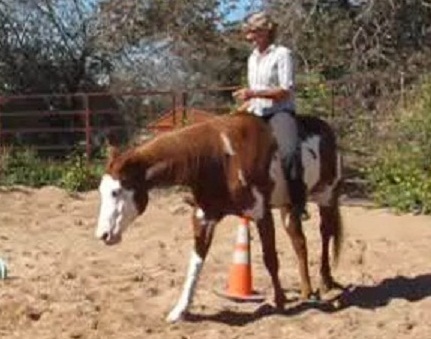 Teaching your horse better response to light leg, hand and seat cues, transitions, pivot on hind or fore, sidepass etc. Teaching better ground manners, and to have respect for you and your space. 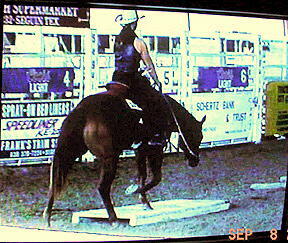 Conquering your horses fears while going over obstacles etc. Teaching better collection and balance. You let us know what you want for your horse. Includes one free lesson per week if it applies. 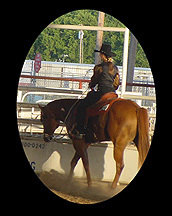 Having specific issues with your horse? Periodically we will offer one week sessions where we will work on specific issues such as going over obstacles, desensitizing to scary objects, getting a better handle and better steering, stopping better, side passing, trailer loading, ground manners, etc. Don't delay...Contact us to reserve your spot today. 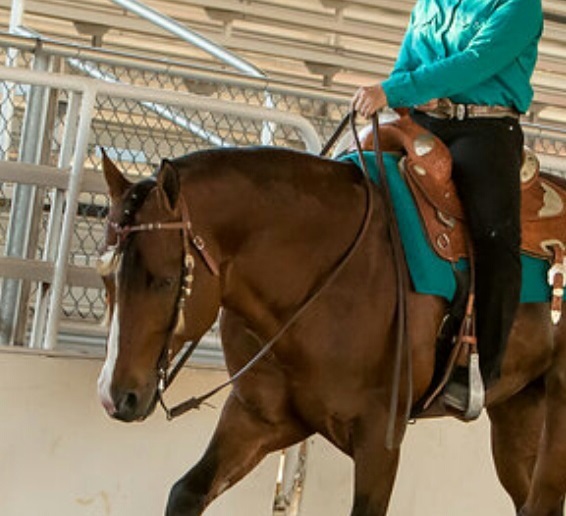 Now is your opportunity to have your horse trained to be a more quiet, responsive, and giving partner, with push button control for whatever kind of riding you do. 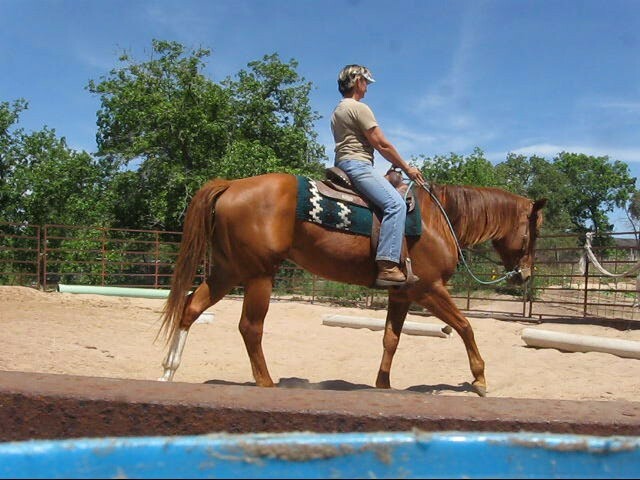 to discuss what we can do to help you and your horse become better partners. 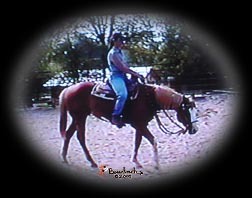 Gina did an awesome job re-educating my 18 year old mare. She always kept me up to date on her training with her youtube videos. 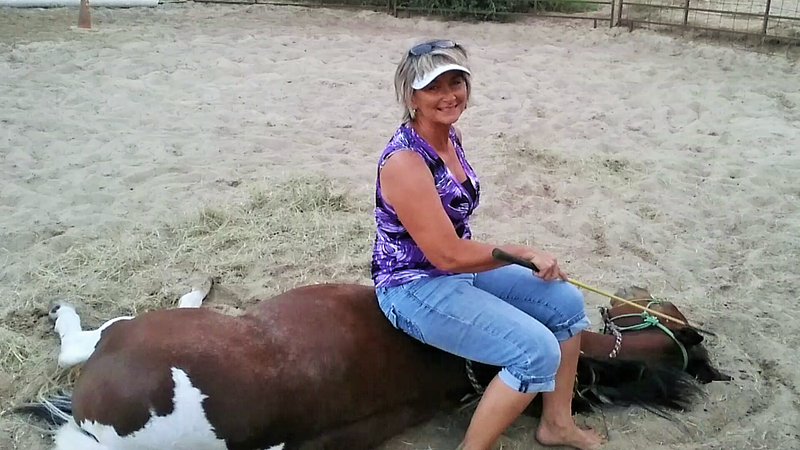 I got to see what Gina was doing with my horse and I was also able to see the steady progress that my mare was making. Not only did Gina re-educate my horse but she took time to teach me on how to continue on with my mares training once I got her home. 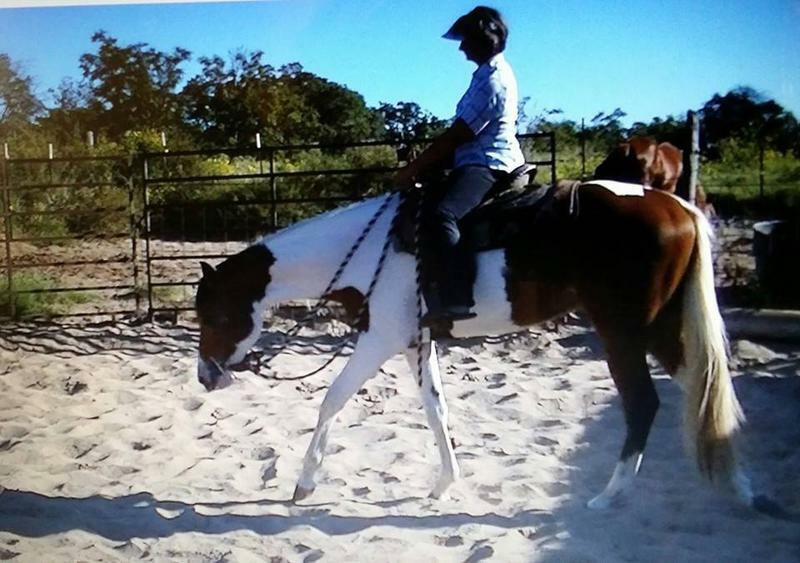 Gina did wonders with my mare and I am greatly appreciative of all of her hard work!!! Thank you Gina and keep it up! 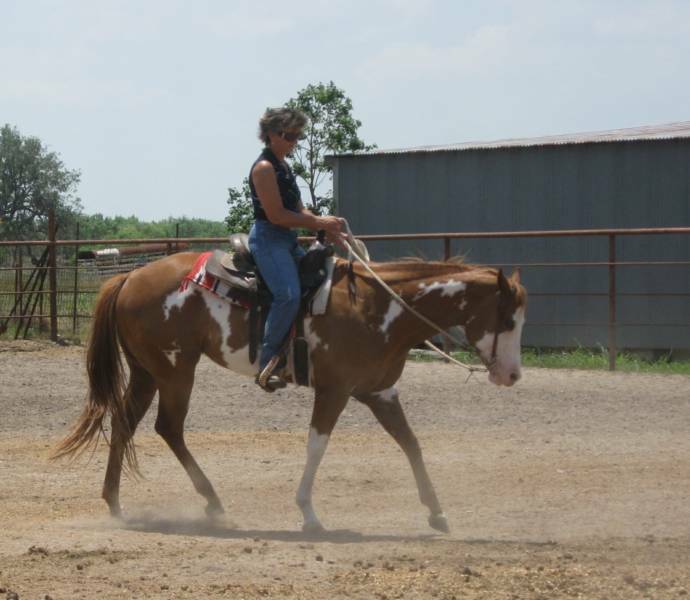 Gina trained a 3 year old paint mare for me a few years ago, and I have to say she did a FABULOUS job! 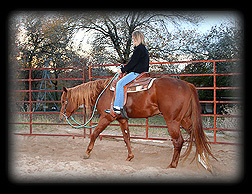 Gina's techniques in her professional training and gentle hands on approach to the horse, go without saying that you will not regret your decision in choosing her to start your equine for whatever discipline you favor, Western or English riding for pleasure or the show ring! ~Susanne F. San Antonio, TX. Please do not hesitate to EMAIL if you have any questions or to set up an appointment today. 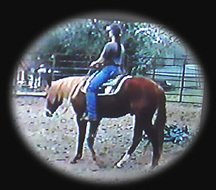 Amanda's very first time to ever ride a horse, much less a Stallion...so easy going, quiet, and relaxed. ...and find a package that works with your budget or time frame.